MFC Board of Directors currently consists of seven Directors, selected through a nomination process involving MFC member organizations. Read more about how the Board is composed and managed in our Association Principles. Lucija Popovska works as a freelance consultant in the areas of development management and development housing finance. She used to work for Habitat for Humanity International in the ECA and AME regions; the Council of Europe; and the Macedonian Center for International Cooperation. She has extensive experience in product development and program design, funding and financing, monitoring and evaluation. Lucija specialises in financial services downscale with focus on housing finance; organizational development and governance; and intercultural learning and context analysis. 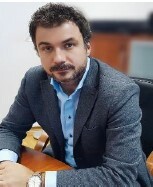 Cristian Jurma is the General Manager of Vitas Romania – a nonbank financial institution headquartered in western Romania and a Global Communities entreprise. He has a strong practical experience in microfinance and has been working in the field since 1998, fulfilling over time different top management positions with different microfinance institutions. Mr. Jurma has more than 10 years of direct management experience in SME, housing and community infrastructure lending in Romania and Bosnia & Herzegovina and over 3 years of management experience in MIS and IT for microfinance. In this capacity, he developed and implemented a web based Loan Portfolio Management System for a network of development financial institutions in Eastern Europe and Middle East, in charge with collecting business requirements and analysis, planning and budgeting as well as training and support of users. He has been also working as a consultant for microfinance projects in Serbia, Montenegro, Bosnia and Pakistan and currently he is a Member of the Board of MKF Lider, a Bosnian micro-credit organization. 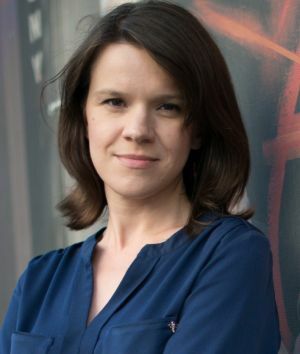 Izabela Norek is the Manager at CoopEst, an investment company which provides financing to sustainable, socially rooted microfinance organisations in Central and Eastern Europe and the Caucasus. She has long-term work experience in business development and microfinance, covering such areas as general management, project management, strategy, quality standards, fundraising, impact assessment, operation of networks. For 12 years, including the start-up phase, she was Executive Director of a microfinance organisation in Poland, for which she raised over 3 million Euros of grants. During that period she participated in peer reviews and study tours of various MFIs in Europe, Asia and Latin America. Additionally, for two years she served as Board member of the Polish Association of Loan Funds. She holds a Masters’ degree in English philology and a post-graduate Diploma in Business from the Jagiellonian University in Krakow, Poland. She also attended trainings at Oregon State University and University of Colorado, USA. Native Polish, she is fluent in English and conversational in Russian. 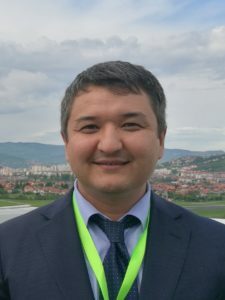 Alisher Akbaraliev is a microfinance expert with 16 years of experience providing technical support to financial institutions throughout Central Asia. He is establishing relationships with relevant stakeholders in Kyrgyzstan, Tajikistan and Kazakhstan, including government organizations, NGOs, and partner organizations. Well-versed in financial management and loan oversight, and has developed products to fit the needs to potential clients, including new deposit technologies and Sharia lending and involved in researches on country level, like the financial ombudsmen model for the Kyrgyz finance market and financial literacy issues in Kyrgyzstan (2014-2016). As Country Manager for Oikocredit Ecumenical Development Cooperative Society, Mr. Akbaraliev managed microfinance lending across Central Asia, and provided technical guidance in finance and investment. Throughout his tenure, he has managed multiple MFI branches, where he oversaw day to day operations, managed budgets and staff, and monitored all lending operations. He has expertise in market analysis, business analysis, collateral assessment, and client monitoring. 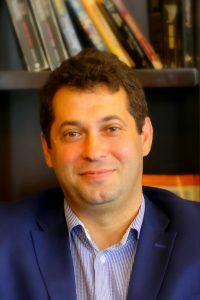 Mr. Akbaraliev holds a diploma in economics and a diploma in jurisprudence. Fluent in Russian and Uzbek and is proficient in English and Kyrgyz. Paul Kalinauckas is a skilled Board Member and Chair of the Board of Responsible Finance, the UK Association for MFIs. 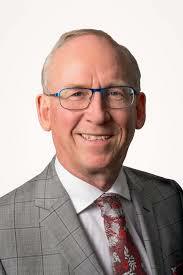 He is also the Access to Finance Champion on the Board of his Local Enterprise Partnership as well as an Executive Director on the Board of BCRS Business Loans in his role as Chief Executive. He was the Chair of the Fair Finance Consortium in the West Midlands, UK and has undertaken training in running meetings, facilitating, coaching and chairing discussions. Samir Bajrovic has over 12 years of managerial and practical experience in microfinance and sustainable development. He has been involved in implementation of numerous complex projects in the country and abroad, providing consultancy to major international development agencies and banks such as: World Bank, EBRD, GiZ, USAID, etc. Through his professional work Mr. Bajrovic has gained extensive knowledge of the SEE countries legislation and institutions. He also possesses thorough knowledge of EU regulatory framework. Mr. Bajrovic has hands-on experience of working with microcredit clients, acquired through almost 5 years of professional work in various departments of the Microcredit Foundation SUNRISE. He was a member of several audit committees and governance boards in the country, including the membership in the Governance Board of the Microcredit Foundation SUNRISE; prior to his appointment as a director. Currently, Mr. Bajrovic is a Director of the Microcredit Foundation SUNRISE Sarajevo, and a member of the Assembly of the Association of Microfinance Institutions – AMFI in Bosnia and Herzegovina. Sanavbar has an over 25 years of professional experience of which the first nine years have been spent in community organizing and social development works focused on youth, poverty reduction and empowerment of women. The last fifteen years spent on progressive management experience with decision making and supervisory responsibilities in the areas of business development, marketing, human resources management and development, accounting and financial management. Her professional qualifications has been put on a solid footing with the enormous experience. She has gained over the last ten years in the development, design, implementation and management of a successful Micro-Lending program and Micro-Finance Organization, which she presently leads. Grzegorz is a microfinance specialist with significant field experience gained at Fundusz Mikro, a microfinance institution based in Poland. As director of the MFC he has designed regional and country specific access to finance programs which address the needs for financial and non-financial services among low-income people and micro-entrepreneurs in Europe and Asia. Grzegorz has initiated a regional, financial inclusion policy program with a broad goal of fostering creation of a favorable legal and regulatory framework for access to financial services for low-income people and micro-entrepreneurs. From 2005 – 2008 Grzegorz served on the UN Adviors Group on Inclusive Financial Sectors, while until 2015 he was a member of the Steering Committee of the SMART Campaign – a global microfinance industry initiative concerned with the protection of microfinance clients. Katarzyna oversees the Centre’s programs in the area of financial inclusion and responsible finance. In the years 2005-2014, she served on the Steering Committee and then the Supervisory Board of Social Performance Task Force and took an active role in developing sector standards on responsible finance (Universal Standards for Social Performance). Since 2009 she has been leading a global fund financed by the Ford Foundation supporting more than 50 microfinance associations and over 500 their member microfinance institutions to mainstream the responsible finance standards locally. She was chosen “Woman of the Year 2008″ by the international organization Women Advancing Microfinance. She graduated from Warsaw School of Economics and holds Canadian Executive MBA degree from Warsaw School of Economics and the University of Quebec at Montreal. Ewa is the program manager for the SPM, managing action research projects on social performance innovation and customer protection. 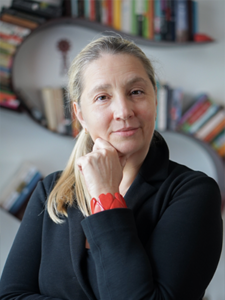 She works with a wide range of stakeholders on developing and pilot testing new tools and solutions, setting standards and documenting the experience of practitioners in attempts in delivering on microfinance promise in the CEE and NIS regions and beyond. With a background in market research, her previous professional experience covered marketing research in the banking sector and market analysis for the B2B service global alliance. 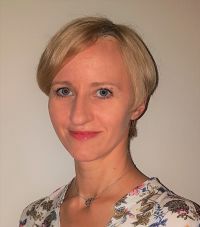 Ewa holds an MSc in Quantitative Methods and Information Systems from Warsaw School of Economics and a postgraduate diploma from Warsaw University in psychology of consumer’s behaviour. 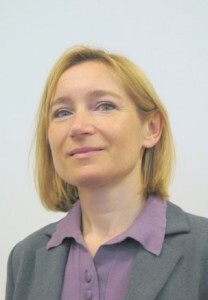 Kinga has been working in MFC since September 2011. 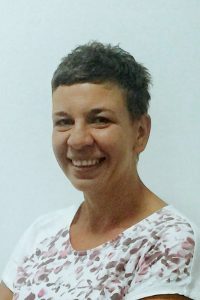 Prior to that, she worked in Technical Secretariat for Cross-Border Cooperation Program Poland – Belarus – Ukraine and Pontis Foundation, Slovakia where she was responsible for managing projects related to development assistance, democracy promotion and development education mostly in the Western Balkans and Central and Eastern Europe. She has been also providing trainings and workshops to partner organizations covering topics such as fundraising, strategic and project planning, introduction to corporate social responsibility, cross – sector cooperation between NGOs and business, advocacy campaigning. Over the years she conducted several organizational audits and trainings on board staff relations. In MFC Kinga works in Social Performance Management program. Kinga holds a Master’s degree in sociology from Warsaw University. 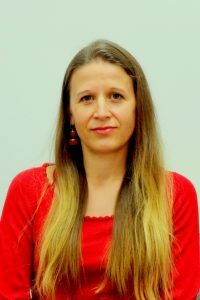 Justyna manages research projects and is the author of the annual publication on the state of microfinance industry in Eastern Europe and Central Asia. She also conducts market research studies in the demand for microfinance products (credit, savings, microinsurance), access to finance and the use of financial services, indebtedness, using a variety of research techniques (focus group discussions, in-depth interviews, questionnaire-based surveys). She has 20 years experience working in development in Eastern European countries and the Commonwealth of Independent States and 12 years experience in conducting microfinance research. This includes hands-on experience in conducting qualitative research and quantitative data analysis using statistical software, writing and publishing articles on the state of microfinance in the region. Aldona has 15 years of experience in managing microfinance capacity building programs. She has designed, developed and implemented a variety of microfinance capacity building and training programs in the ECA region. She has collaborated with various capacity building initiatives and numerous local service provides including local microfinance associations. She also leads MFC’s efforts in designing new courses and disseminating best practices in microfinance. Aldona holds Master’s degree in Russian philology from Warsaw University. Nadia joined MFC in February 2018, she is responsible for managing all internal and external MFC communication, both for strategy setting as well as it’s realization. Nadia comes from the digital world: her previous professional experience was connected with start-ups and web analytics tools. She graduated from Poznan University of Economics and Polish-Japanese Academy of Information Technology. Since July 2003 Ewa is responsible for MFC accounting; book-keeping, preparing accounting documents, expenses reports, accounting reports and other general accounting activity.